Paid edition licence expiration (also known as "License server could not contacted" or "Grace license issued"). 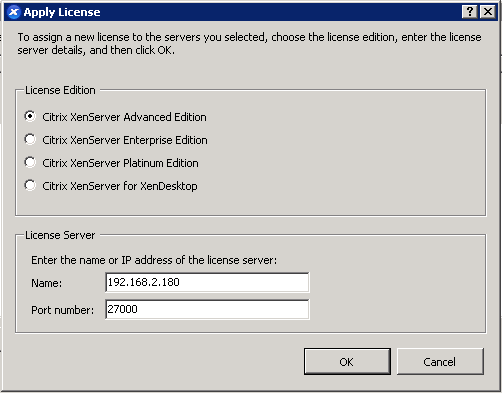 Paid versions of XenServer (Advanced, Enterprise, Platinum or XenServer for XenDesktop) require a standard Citrix licence server to checkout a licence from. 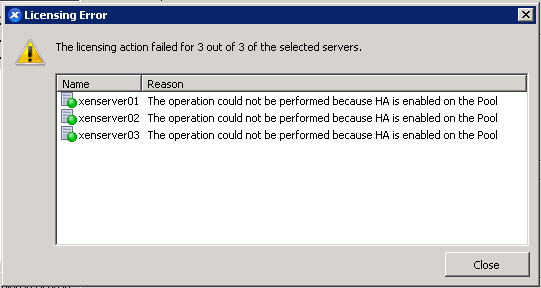 To resolve this, ensure the licence server is on, select the servers and click on the Assign license button on the License Manager window. 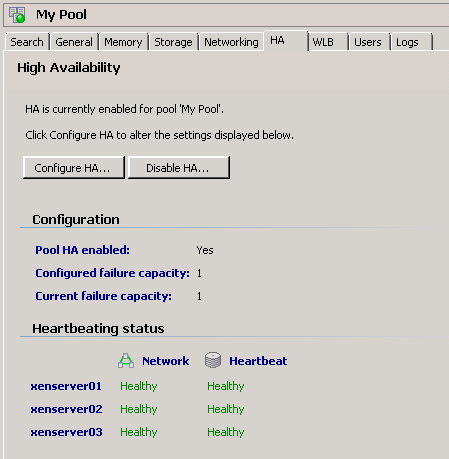 Now assign the licences as described above and re-enable High Availability.